Crowdfunding and Subscription Billing in Community Involvement – this needs to be on your radar screen! Have you heard about crowdfunding yet? It’s all the latest hype in the Community Involvement field, and a trend that will not go away – the Tsunami wave is only just starting. Crowdfunding is new – the word did not exist before 2006. It first started in the US with websites like kickstarter.com and indiegogo.com. Now everybody can do fundraising from the public, in the fields of music, art, film, design, sports, or social projects – if only their pledge is convincing. And you’d be surprised what kinds of projects receive successful funding – be it in the thousands or even millions! The principle is simple: If many people each give a little, a lot can be financed! A film company that looked to raise Euro 1 million within three months to supplement a movie budget had raised that amount already after – one week! A pledge to raise USD 5,000 for a victim of mobbing generated USD 650,000 across the US within only six days! Leading companies have now discovered crowdfunding as a means to enhance stakeholder relationships and stay in touch with communities – crowdfunding is about a metamorphosis of the ‘Like’ button in Social Media into a monetary contribution. Leading companies now take their Community Involvement projects public and give stakeholders a chance to participate as co-funders. Contributors join a funder community and usually receive a thank-you gift for their donation, starting with books and DVDs and not ending with personal meetings with celebrities or international leaders of change – depending on the size of the contribution. 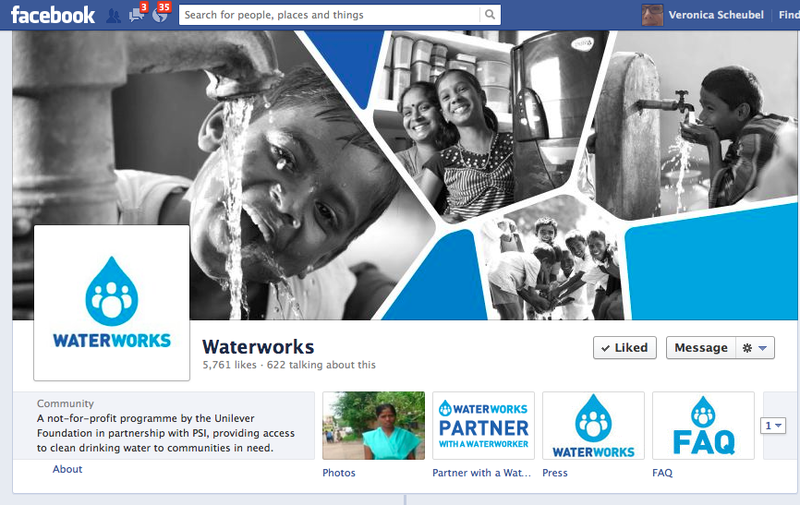 The most advanced has been Unilever: The company started its ‘Waterworks’ subscription billing campaign via Facebook app in June 2012 – and got nice media attention for it. Have a look. My client Skype just started a crowdfunding initiative to further support their charity partner Peace One Day, the organization behind International Peace Day, endorsed by the United Nations and taking place every year on September 21. Peace One Day works on peace education around the world, and thanks to the partnership with Skype, peace education is now brought to many schools around the world via virtual classrooms, in 15 languages. 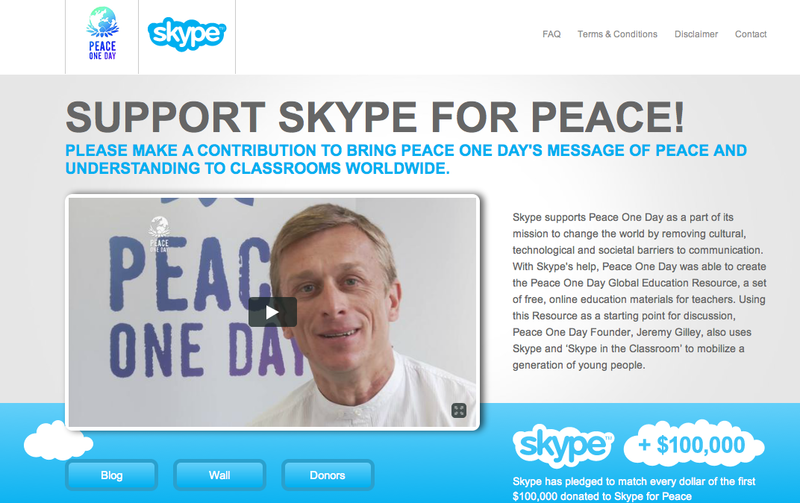 Through the crowdfunding initiative www.SkypeforPeace.org, Skype invites the public to co-fund the initiative – and Skype will match every dollar contributed. Crowdfunding generates new attention and gives a fresh boost to the social brand dimension. Of course, good marketing and communications around such an initiative are important! However, with the tsunami only beginning, first movers really have a chance to differentiate themselves and get noticed. If you’d like to find out more about crowdfunding, get in touch – and if you happen to be in Berlin on October 26, you may want to attend our session on crowdfunding at the Kulturinvest Congress. If you want to get started, I’ll also be happy to connect you to the people who developed Skype’s microsite. Best of luck to you in exploring this new area of community engagement!